Keystone is an unincorporated town in Hillsborough County but that doesn’t mean it’s small. In 2010 there was well over 24k residents in Keystone, Fl and growing. The answer to your next, burning question is yes, The Stand Up Guys Junk Removal Crew cater to all of those Keystone residents. The Stand Up Guys Junk Removal Crew not only COVER all of Keystone, FL, but we also offer everyone our incredible service. This service includes amazing customer care, along with the fact that we will remove any and everything from your home or place of business in Keystone. You name it and we’ll haul it away for you. Anything from old furniture to lawn debris and everything in between. Don’t worry, we take care of all the heavy lifting, loading and cleaning as well. While the rest of Florida and most of the United States has been hurt by the economy and the housing market over the last 4 years or so, Keystone has seemed to hold its ground. The cost of housing in Keystone only slightly dipped over the years, far less than surrounding cities. Also, unemployment hasn’t dropped as significantly as other parts of Florida. That says a lot about Keystone and it’s awesome people. The people and businesses of Keystone are resilient and strong! The Stand Up Guys have set out to become the number one junk removal company in all of Keystone. We plan on doing this with our strong efforts towards customer service, value and our love for the community. We do all we can to give back what we can. That is why we donate and or recycle well over 60% of the items we pick up in Keystone right back into the community. 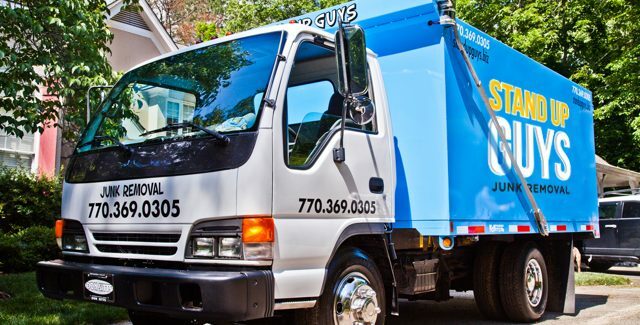 If you live in Keystone and are in need of junk removal or debris removal services, look no further than The Stand Up Guys Junk Removal Crew. We’ve got your back!